Turkey is the world’s leading apricot producer, and the town synonymous with their production is Malatya, in eastern central Anatolia. 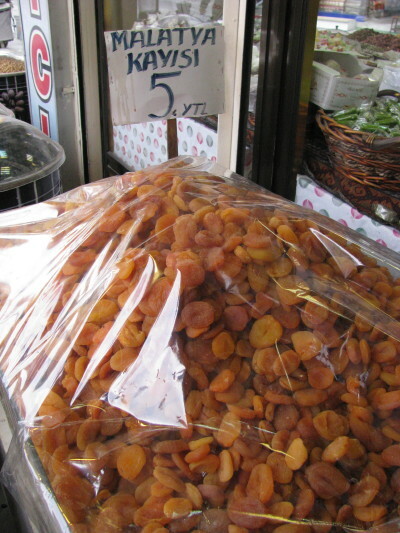 The orchards around Malatya provide some 95% of all of Turkey’s dried apricots. I try to buy the dark brown dried apricots as the bright orange ones have been treated with sulphur. 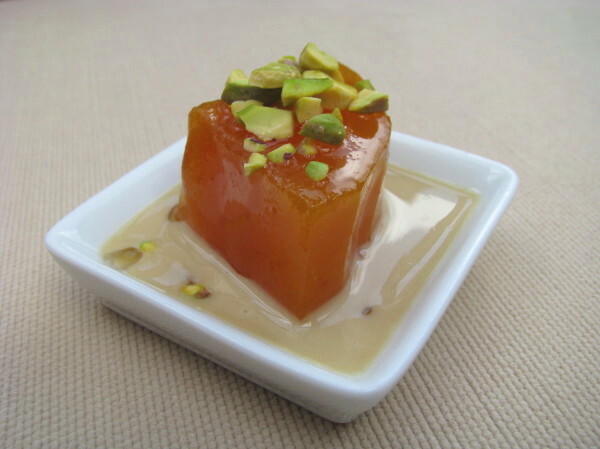 If you can get mulberry or grape molasses – called ‘pekmez’ in Turkish – add some to the syrup to make this dessert extra delicious. In Turkey these apricots would be served with buffalo milk clotted cream, called ‘kaymak’ in Turkish. You can use regular cow’s milk clotted cream, crème fraîche, whipped cream or mascarpone. This recipe is adapted from Ghillie Başan, a cookbook writer. The best baklava in Turkey comes from the southeast, notably the town of Gaziantep, which is surrounded by pistachio groves and known for its master baklava makers. Traditionally it would be made with yufka, which is a super-fine dough rather like filo, and baked in a round dish called a tepsi in a wood-fired oven. 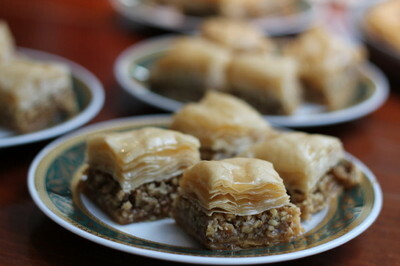 There are all kinds of different baklava shapes – layered, rolled, twisted and coiled – and it can of course be made with different nuts – walnuts, pistachios and hazelnuts being most common. 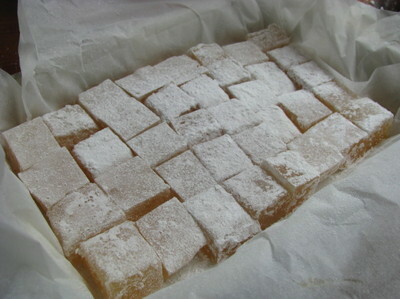 For added flavour use honey instead of some or all of the sugar. I learnt this dish while staying with Zeliha İrez, an amazing cook who runs a guesthouse in Turkey. Zeliha uses a pressure cooker to speed things up. If you don’t have one, try to leave the beans gently cooking for five or more hours. Zeytinyağlı foods are a family of vegetable dishes which are cooked in olive oil. They are common in western Turkey, where olive trees grow. 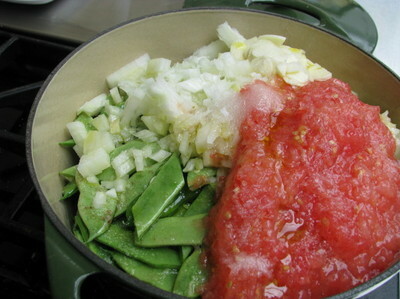 The beauty of the dish is that everything goes in the pot together and then requires little attention. In Turkey all kinds of things get stuffed with delicious rice – aubergines, tomatoes, peppers, cabbage leaves, vine leaves and more. 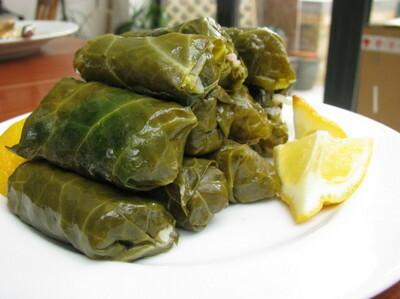 ‘Dolma’ are stuffed things and ‘sarma’ are rolled or wrapped things, so strictly these parcels are sarma. 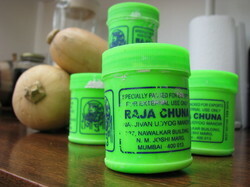 They work really well with spring or summer greens, which arrive in my weekly veg box. Versions of sarma are also found in Greece, Bulgaria, Romania, Hungary, Poland and elsewhere – sometimes with meaty fillings. This combination of rice, pine nuts, currants and warm spices is typical of western Turkey – around Istanbul and down the Aegean coast, where the Romans established pine tree plantations millennia ago to feed their pine nut addiction. The trick is to partially cook the rice before filling the leaves – cooked enough so they won’t burst their wrappers in the cooking pot, but uncooked enough to expand a little to form tight parcels. Sarma might be fiddly to make, but when you taste the results of your labour, you’ll realise why they spread so far. 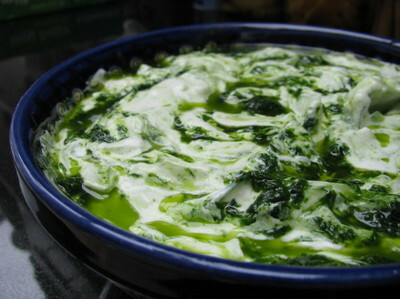 Cacık (pronounced ‘jajuk’) is the Turkish equivalent of Greek tzatziki – a garlicky yoghurt and cucumber dip/soup/salad, depending on what it’s served with. It’s a fantastic accompaniment to kebabs, meatballs and cooked vegetable dishes, and there is some evidence that eating yoghurt with meat is good for us. It’s usually made with pounded garlic cloves, but bright green wild garlic makes a very pretty alternative. 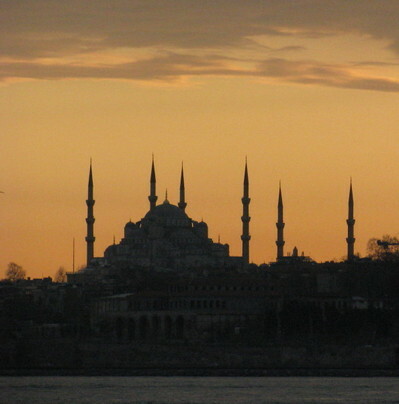 Reaching Turkey last April, after two months of meandering through France, Germany, the Czech Republic, Poland, Hungary, Romania and Bulgaria to get there, was cause for celebration. So we scoured guide books to find a suitably smart restaurant in the old quarter of İstanbul, where we had just managed to navigate our chunky Land Rover through minuscule cobbled streets packed with pedestrians. Balıkçı Sabahattin, a fish restaurant frequented by wealthy locals, proved perfect. The fish börek, marinated bass and scorpion fish soup were delicious, but the highlight came after – ayva tatlısı – half a quince, candied to a translucent deep crimson, topped with the thickest, lushest cream imaginable and ground walnuts, and surrounded by a moat of spicy syrup. It was divine, and thankfully cropped up again several times on our journey through Turkey. 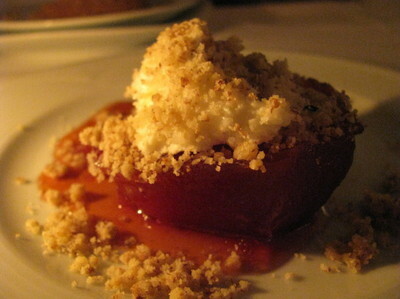 The cream turned out to be kaymak – clotted cream made from buffalo milk. Many people poach the quince in a syrup on the hob. But I learnt a slow-roasted method from Őzge Samancı, a food historian in İstanbul we were lucky enough to meet. If you roast them for an hour they will be perfectly tender and delicious, but still yellow. If you continue another couple, they will turn a beautiful pink. And I’ve found that if you continue another three or so after that, they will almost candy themselves and reach the desired depth of colour. If you can’t get buffalo clotted cream, cow’s will of course do, as will any thick cream or yoghurt. Many people poach the quince in a syrup on the hob. But this slow-roasted method comes from Őzge Samancı, a food historian in İstanbul we were lucky enough to meet. If you roast them for an hour they will be perfectly tender and delicious, but still yellow. If you continue another couple, they will turn a beautiful pink. And I’ve found that if you continue another three or so after that, they will almost candy themselves and reach the desired depth of colour. If you can’t get buffalo clotted cream, cow’s will of course do, as will any thick cream or yoghurt. Here’s an unusual alternative for using up a butternut squash or two. Or you could use pumpkin. We first enjoyed kabak tatlısı in Istanbul as a dainty dessert at Musa Dağdeviren’s wonderful Çiya restaurant. After that we spotted it in various places as we travelled around Turkey and had the good fortune to learn how to make it from both Zeliha İrez, at her lovely guesthouse, and Engin Akin, a food writer and cooking teacher. This recipe follows their tried-and-tested method. You will need to do some maths; the candying stage follows a ratio of 2:3:4 of squash:sugar:water. I use a large copper preserving pan, but any really big, wide saucepan will do. It’s really good and I dare you to try it! Kabak tatlısı belongs to a fascinating family of sweet preserves, including rose petal, aubergine, fig, tomato and green walnut, which we found in Romania, the Balkans, Greece and Turkey. During our travels in these countries we became slightly obsessed with these beautiful ‘spoon sweets’ and spent a good deal of time trying to uncover their origins. You can read about what we found out here.